Photo by Brandon Macz: Joshua K. Schroeter has pleaded guilty to stabbing a man at the Red Onion Tavern on Sept. 29, 2018. 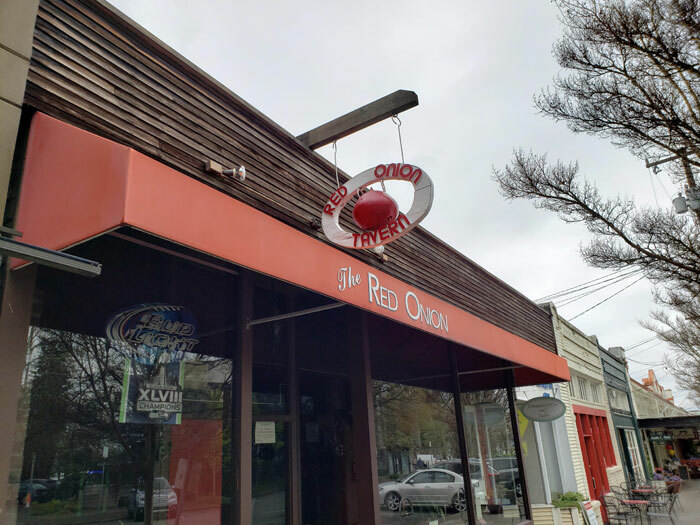 Joshua K. Schroeter, 56, became upset when another man reportedly took his seat while he was singing karaoke at The Red Onion on Sept. 29. After the man refused to give the seat back, Schroeter stabbed him with a 3-inch folding knife. The victim said he thought Schroeter was “putting a deep elbow in my ribs? but it turns out he was putting a blade in my ribs,” according to the police report. It was later determined at Swedish Medical Center that the victim suffered a punctured lung, and he was transferred to Harborview. Seattle Police arrested Schroeter on the sidewalk outside Cactus restaurant nearby on East Madison Street. Another bar patron told police Schroeter had knocked him out of his chair earlier that night, but he decided to find another seat rather than escalate the situation. Under a plea agreement reached with the King County Prosecutor’s Office, a deadly weapon enhancement added to Schroeter’s assault charge is dismissed and he will pay restitution to the victim. The prosecutor’s office will not seek an exceptional sentence in the case. Under Washington law, the maximum count for second-degree assault is not more than 10 years and a $20,000 fine. Without an adult or juvenile criminal history, his offender score is a Level 0, which carries a sentencing range of 3-9 months. Schroeter is scheduled for sentencing on Friday, April 26 in King County Superior Court.